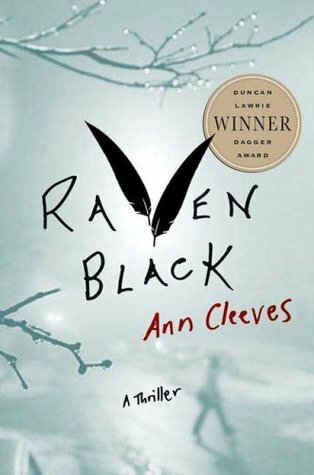 Ann Cleeves immediately won me over with Raven Black, the first novel in her Shetland Quartet. The novel revolves around a shunned and painfully lonely hermit with a dark past that creates distrust,speculation, and assumptions of guilt in a contemporary murder. Her characters are some of the most finely painted anywhere in literature! These are amazingly meticulously drawn people that are incredibly sympathetic, likeable, yet deeply flawed. I feel like they’re all people I grew up with. She also creates a very tangible sense of place on a windswept island in the North Sea. The isolation and and quiet become one of the characters continually interacting in the drama. There are four books in the “quartet.” I’ve read and enjoyed each one. It may be a bit confusing at first glance to see eight listed in the series. There is a definite break between #4 Blue Lightening and #5 Dead Water with some core cast changes. Are the post break ones good? Yes! Are the pre-break ones incredible? Absolutely. Is it a bit confusing? Only till you get to the break and then it all makes sense. Don’t worry about it. Just read.